You can keep your modern ghost stories. I understand why they would terrify some people, but those films tend to leave me cold. They use modern science to find something which cannot be scientifically explained, but trying to find ghosts the same way special ops teams try to find terrorists diminishes the illusion. You can only shake the camera so much before I wonder if the ghosts have access to a tripod. The stories also tend to lack any subtext and generating scares is their sole mission. I prefer my ghost stories gothic and foreboding and that’s why I adored Nick Murphy‘s The Awakening. The film still uses the same conceit of using the scientific to explore the paranormal, but does so with early 1920s technology and it’s far more exciting to see an investigator who uses cameras which rely on a trip-wire and a magnesium flash than someone who went down to the local Best Buy and asked for a quality camcorder. 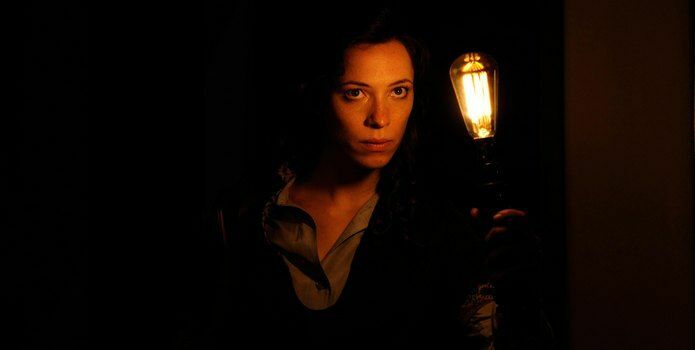 In addition to its creativity, Murphy paints a gorgeous picture that delivers the thrills, chills, and terrific performances from Rebecca Hall, Dominic West, and Imelda Staunton. Following the Spanish flu and World War I, the opening titles tell us “This is a time for ghosts.” In London, 1921, skeptic Florence Cathcart (Hall) believes it’s a time for debunking ghosts. 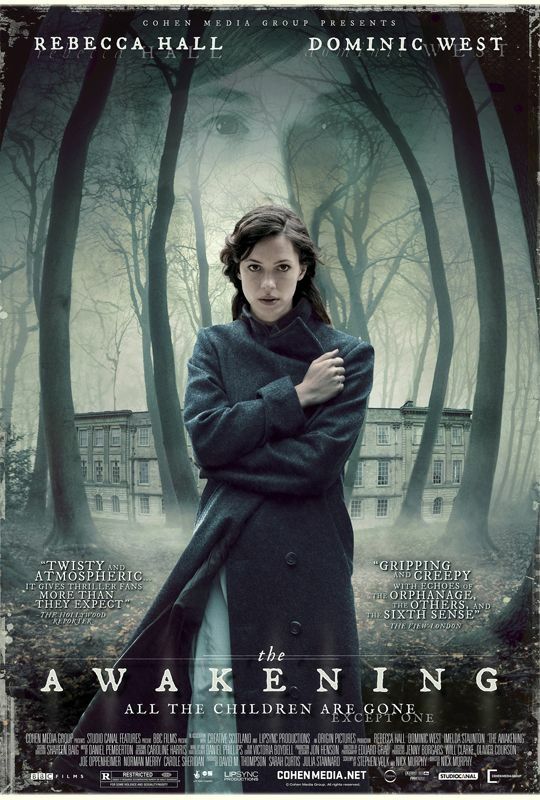 Florence is the popular author of the book “Seeing through Ghosts” and she’s entreated by teacher Robert Mallory (West) and matron Maud Hill (Staunton) to investigate their provincial boys boarding school where one of the students has died after reports of seeing the twisted spectre of young boy. 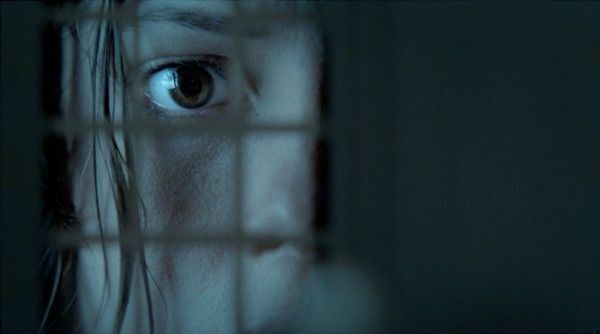 She decides to take the case so the students won’t have to live in fear, but as she continues to investigate the house, she begins to see that her reliance on science may not be enough to explain the strange phenomenon around her. Murphy hooks the audience from the get-go with Edward Grau‘s lush cinematography and Daniel Pemberton‘s beautifully melancholy score. You sink into the movie like a warm bath and bath has a ghost hand in it. The Awakening has its fair share of jump scares, but they’re timed perfectly so that they don’t feel cheap or unintentionally comic. Murphy knows how to build tension, make you grip the arm of your seat, and never look away because you need to see how he’s going to land his scare. Furthermore, the movie doesn’t just frighten. It unnerves you to your very core. There’s one scene involving a dollhouse that had my jaw slowly dropping to the floor. If The Awakening had simply painted a rapturous, thrilling ghost story, it would have been fine since we rarely get films in this genre. But Murphy and co-writer Stephen Volk bring the sadness of loss into the proceedings. Everyone in the film has a secret that weighs heavily on their soul. The war and the pandemic have caused survivor’s guilt on a massive scale as everyone questions why they lived while their loved ones perished. Cathcart has lost the man she loved, Mallory (West) has lost his brothers in arms, and Hill has also lost someone although we don’t know who. They’re all hiding pain and they’re all struggling to find a way to deal with death. It’s the familiar subtext of the ghost story in finest form, and the cast brings the supernatural atmosphere to a human level. The film glides through most of its story but gets a little flat-footed at the end. Murphy doesn’t want to write off science but he also doesn’t want to lose the paranormal aspect so he blends the two with uneven results. However, the confidence of the resolution carries it past the clunky writing and the ending is almost secondary to all the scares and twists that came before. The Awakening is for those who loved The Devil’s Backbone and The Others. It’s for those who want to be transported out of our time and into a sumptuous and haunting place on the hazy line between life and death.